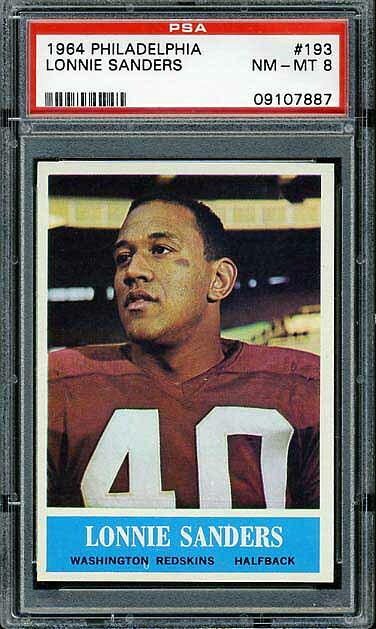 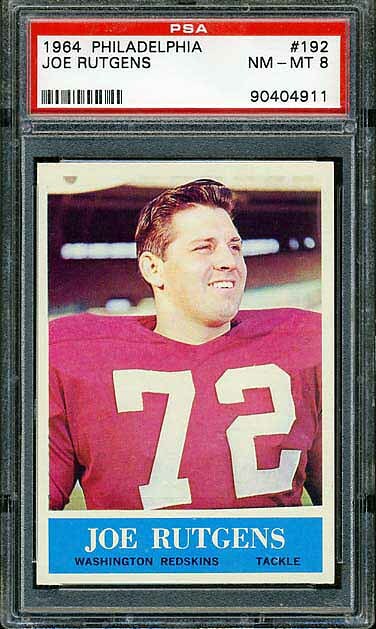 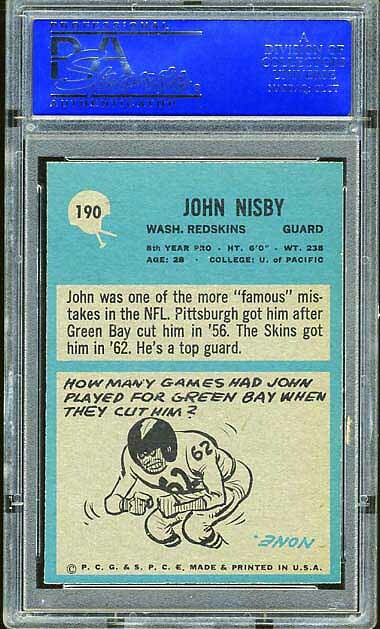 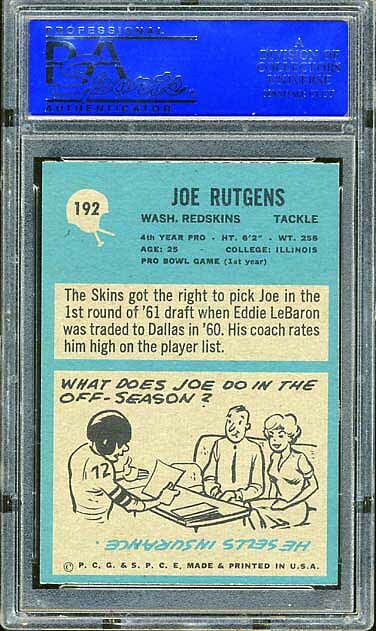 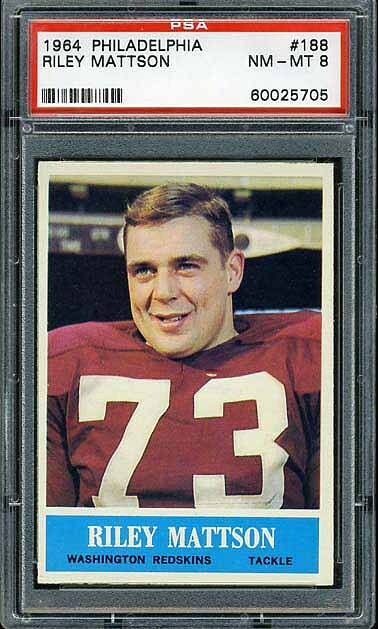 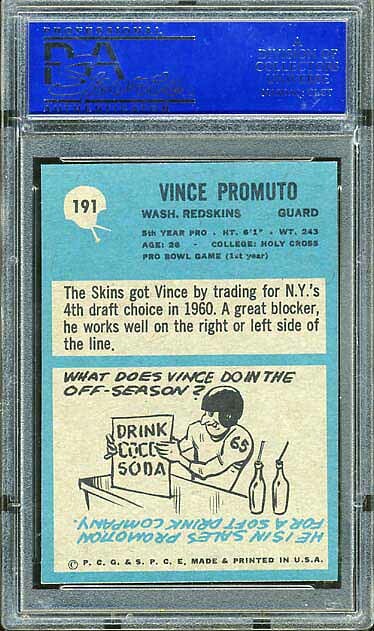 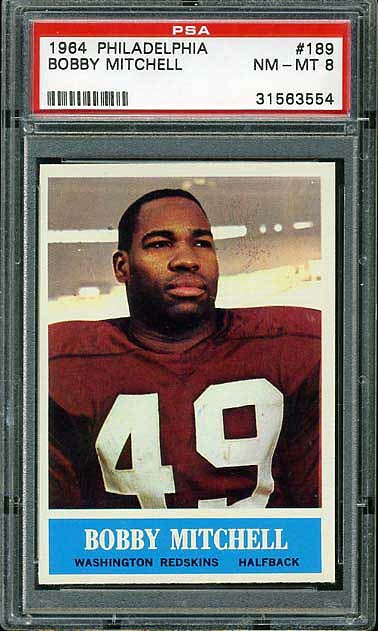 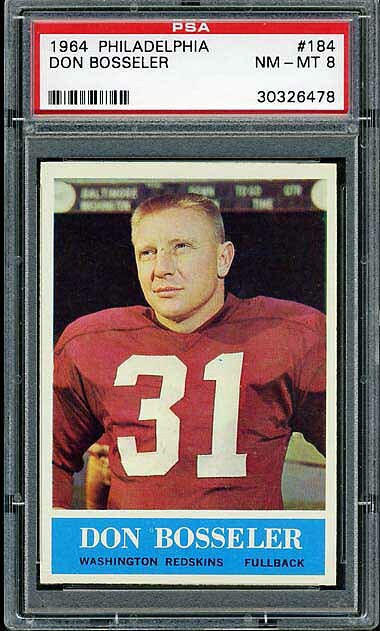 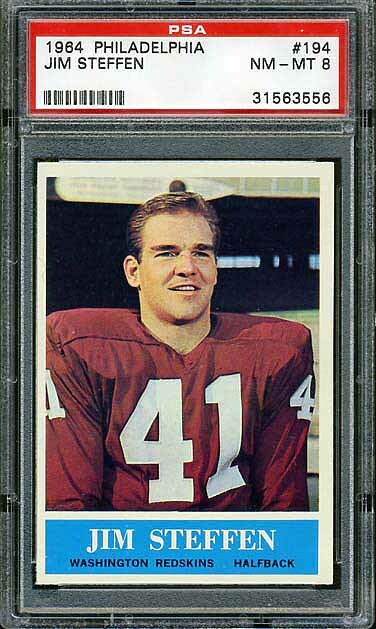 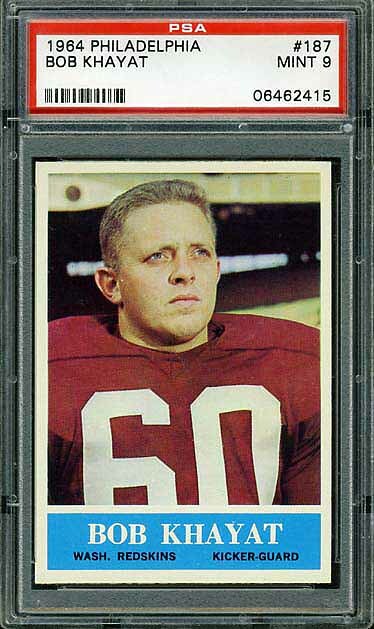 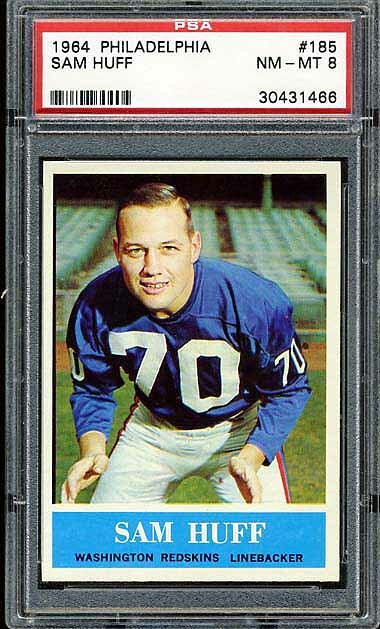 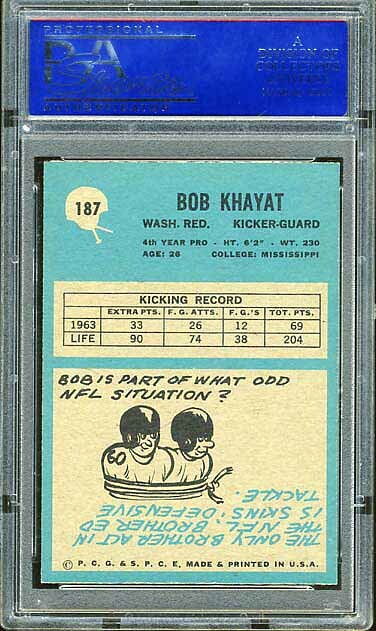 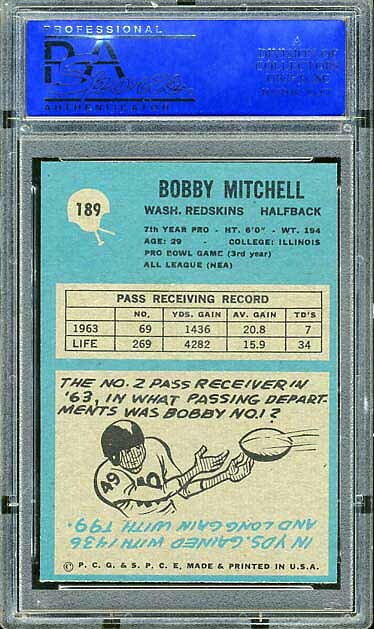 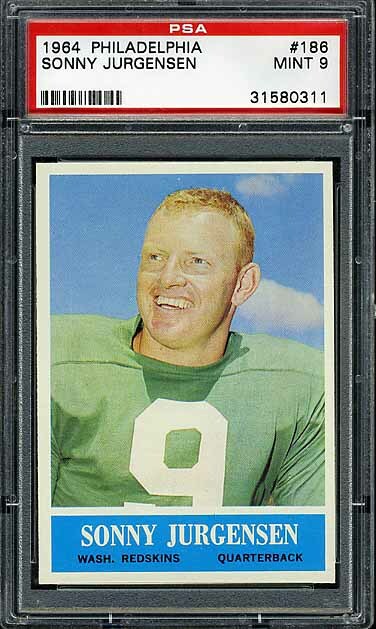 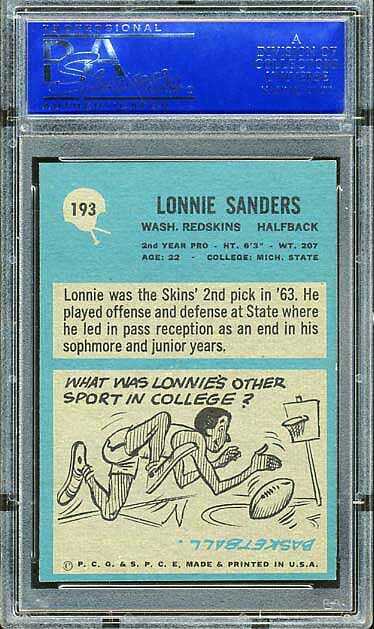 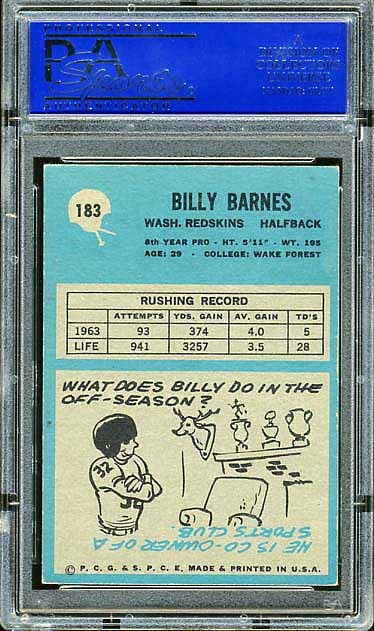 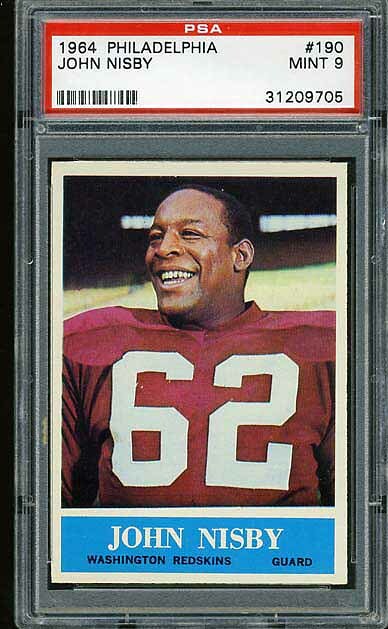 From 1964 through 1967 Philadelphia produced cards of NFL players and Topps produced cards of AFL players. 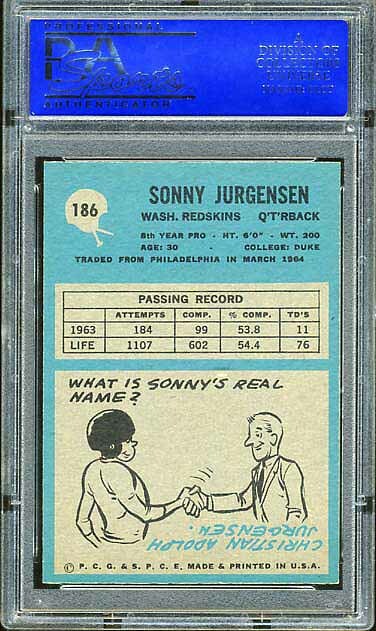 The four sets of Philadelphia cards are extremely well produced. 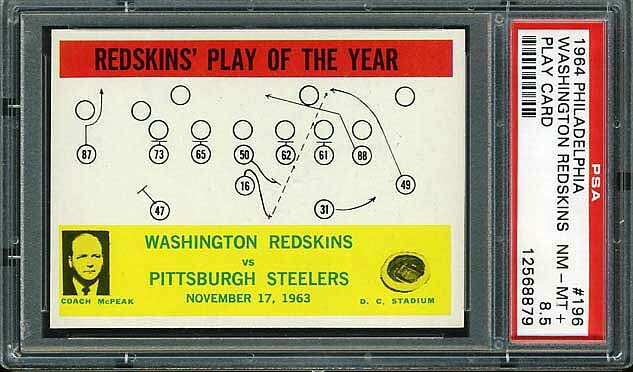 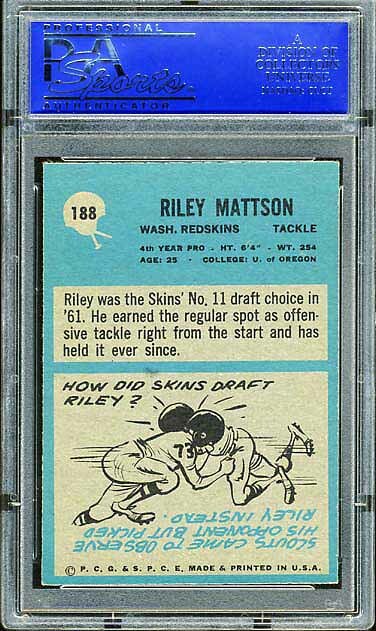 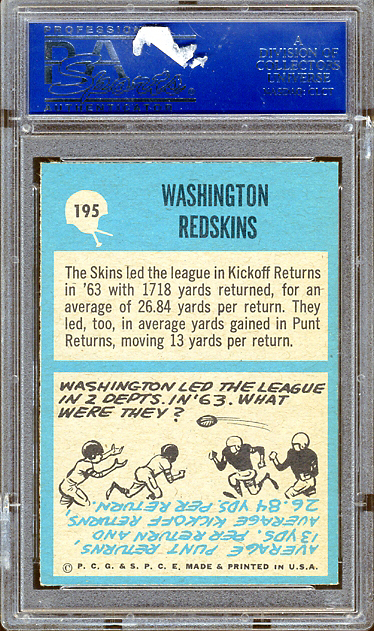 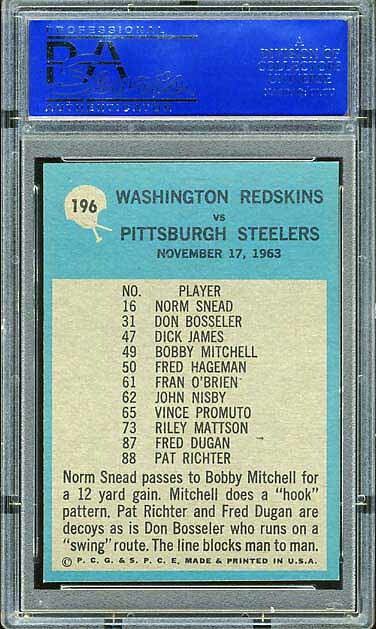 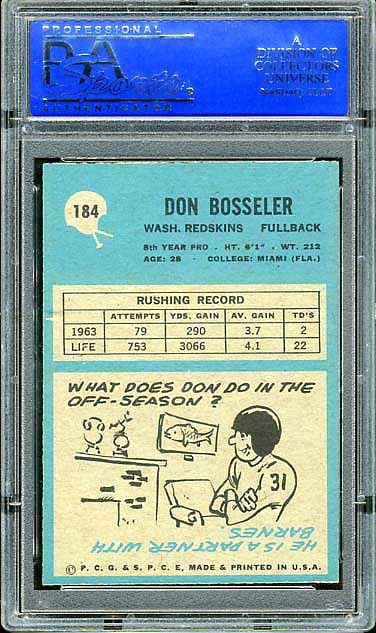 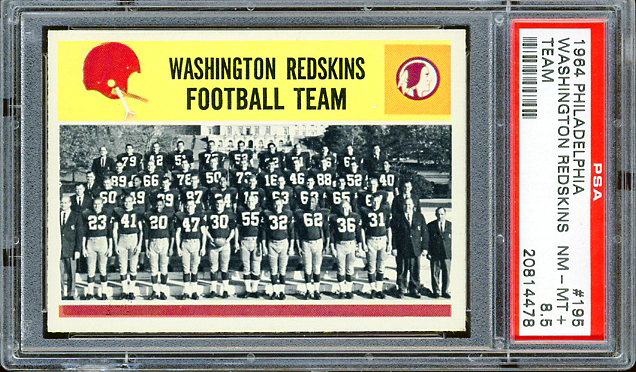 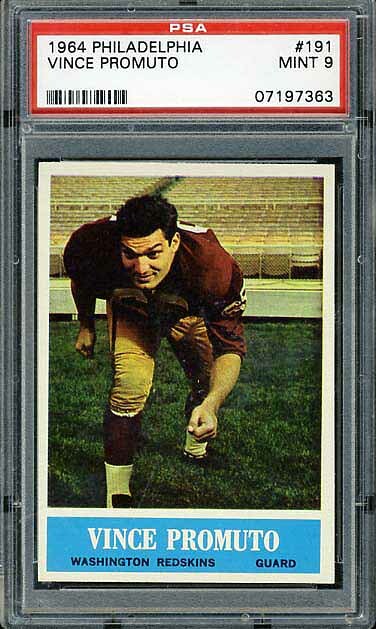 Below is the complete Redskins team set from the 1964 Philadelphia set. 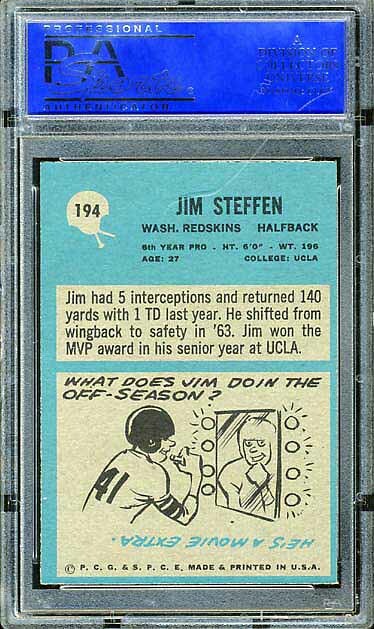 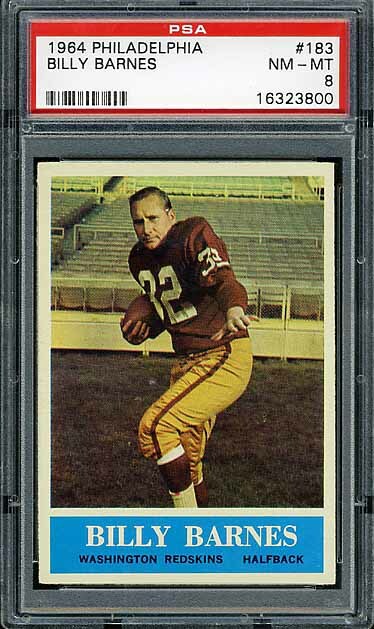 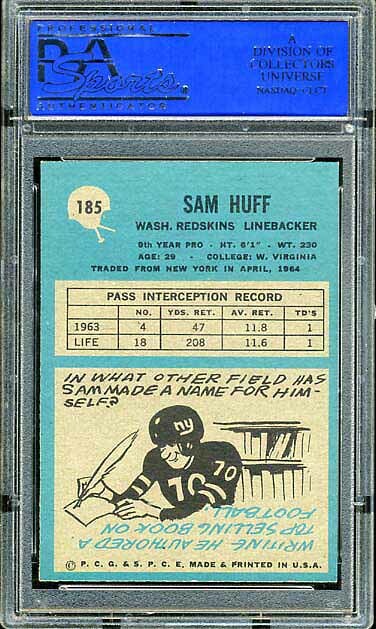 This set features the first Redskins football cards of Sonny Jurgensen and Sam Huff – both Hall-of-Famers.